3. Work with ANIMO. 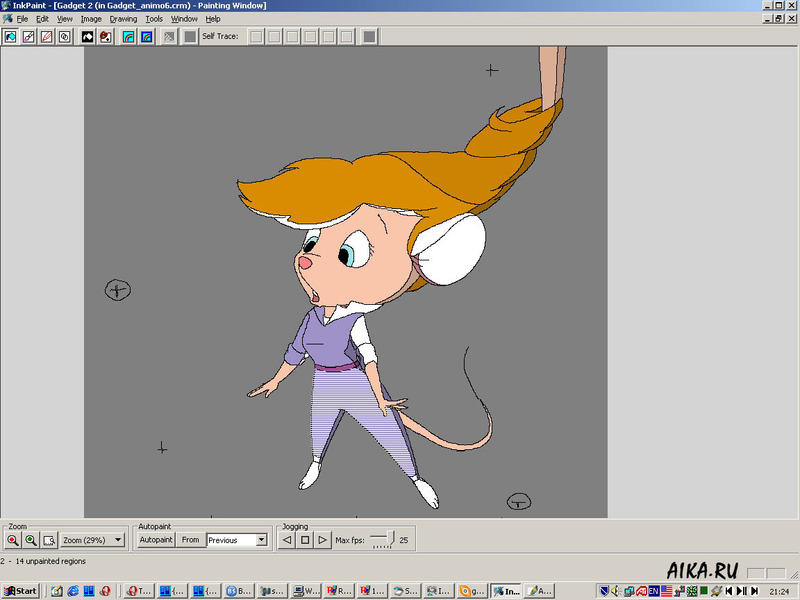 Coloring and rendering of the final animation. 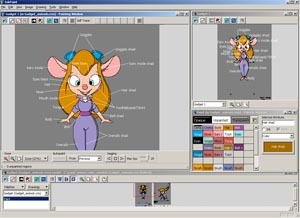 If you ever tried to find a software for animation, you've, probably heard about "CAS ANIMO". 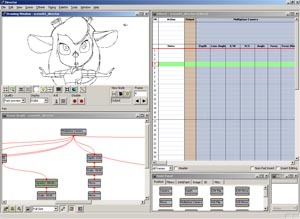 For those who haven't heard about it, here is a little piece of info: ANIMO is a powerful tool for creating animation. It can't draw additional frames for you, though. 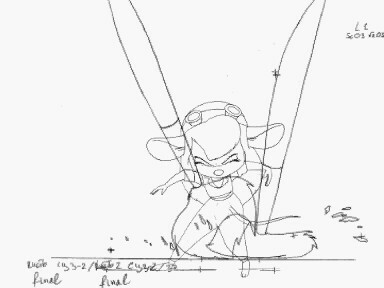 It is intended for working with already drawn frames. 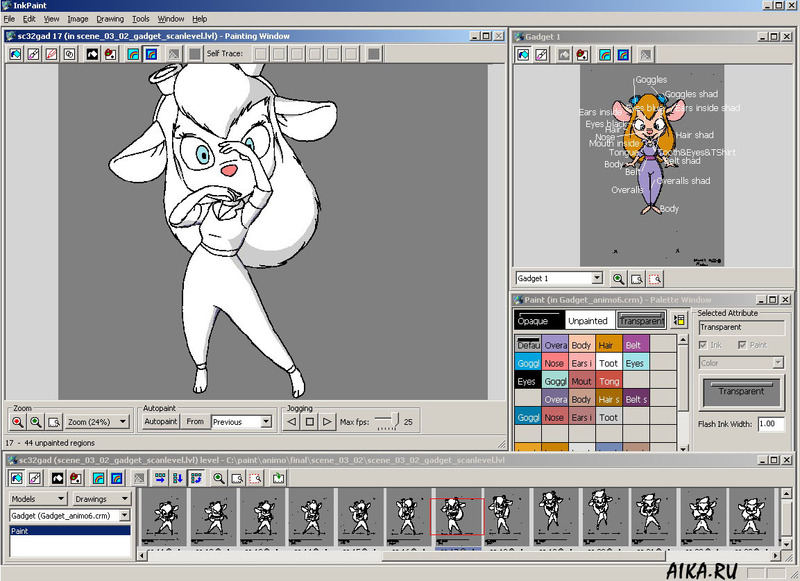 ANIMO allows the animator to combine them into animation sequence, to color b&w pencil drawings, compose a scene with many objects in it, create multiplane scenes and also has many other features, which I don't even know. 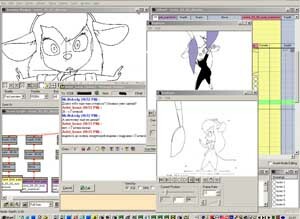 Of course, besides ANIMO, there's a variety of other animation software. 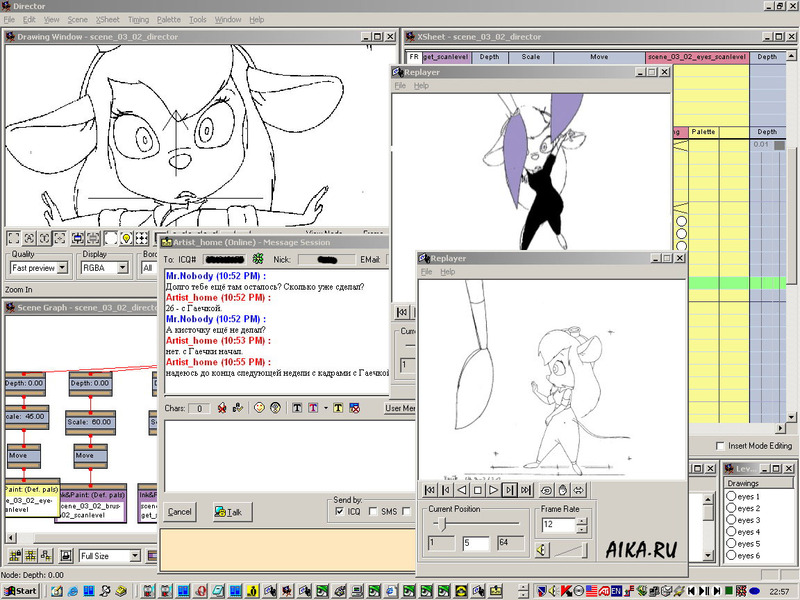 For example, we tested Toon Boom Studio and USA Animation, but for some reason which I already forgot, we decided to use ANIMO. As the first step, we rendered uncolored "clean" animation of each scene in order to test it and fix the final bugs in animation. Also at this phase, we aligned our scanned frames from one to another (as was shown the picture earlier) to avoid trembling. I mean that we lined up every frame, because every scanned sheet had a little displacement - we didn't have any special equipment to scan them without it. Next, we had to "digitize" it. ANIMO has a special tool to find outlines and regions in your picture. It doesn't actually make a vector image from your bitmap scan, it creates some kind of "notes about outlines and regions" for itself. 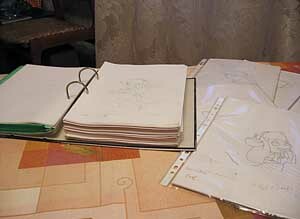 These "notes" are used for the coloring (in the example for filling the region with color). You can switch to a special mode for viewing regions, but your drawing won't be changed after this "digitizing". Of course, before painting we had to choose colors for every object. First, we created the "Color Level", where we placed our palette. This level included one or more colored frames and a table with palette. Also we put marks in order to remember where and which color should be used. 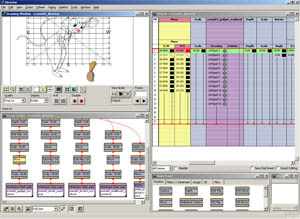 This tool allows you to export the palette. If somebody needs it, click on the picture below. You will get a "TIFF" (not a .jpg) file. 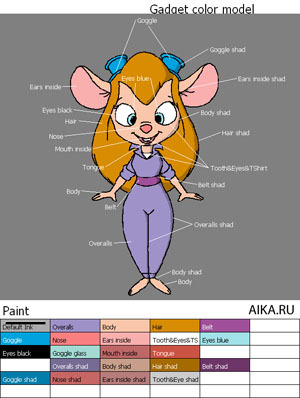 We used colors from well-known "Size chart" picture, where Disney put all Rescue Rangers and some other characters. The colors for brushes, drop and logo had been chosen by ourselves. Now, we had the palette and could begin coloring our frames. This process is also very boring, but, luckily, it's quickier than drawing "clean" animation. 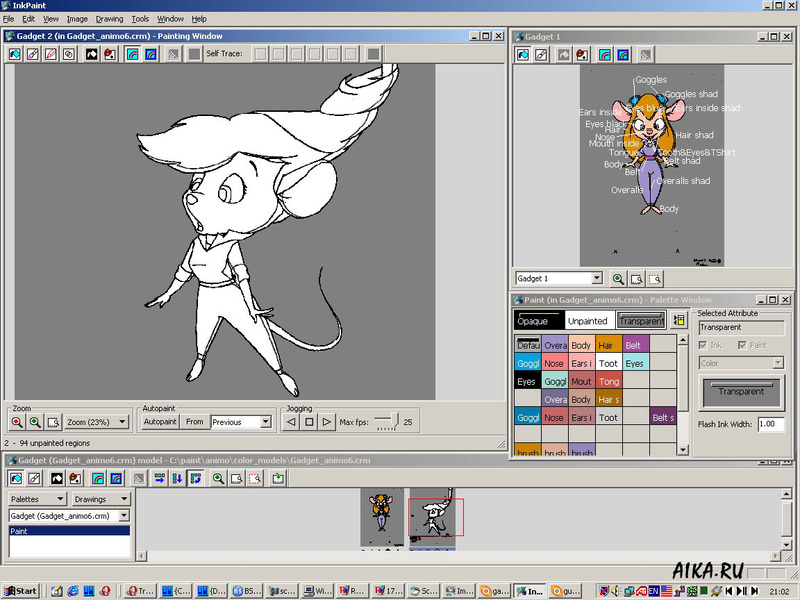 ANIMO allows to color frames automatically based on previous frame, but it works well only when your character stays still or moves very slow. 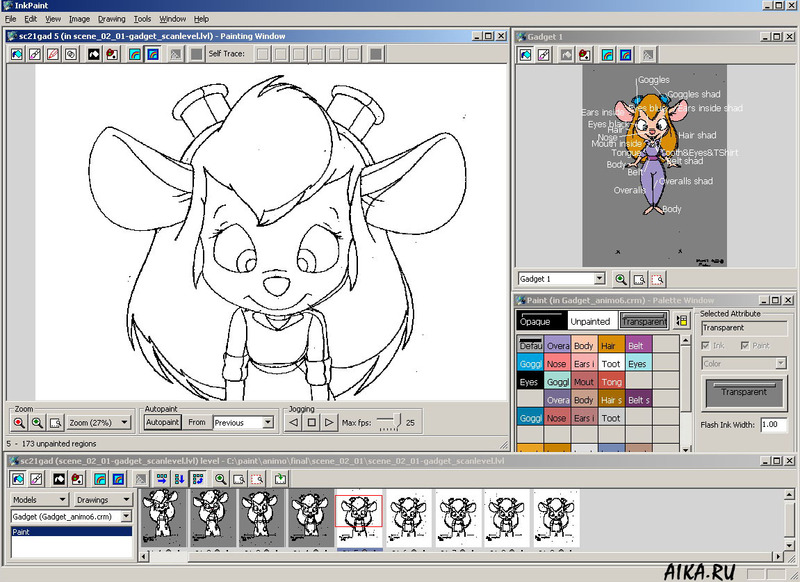 But even in this case you have to fix coloring errors and re-color some parts of character. 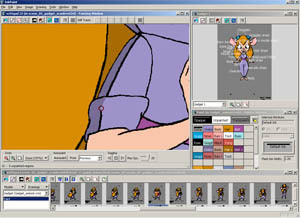 So, in spite of power of all ANIMO features we had to color every frame by hand. 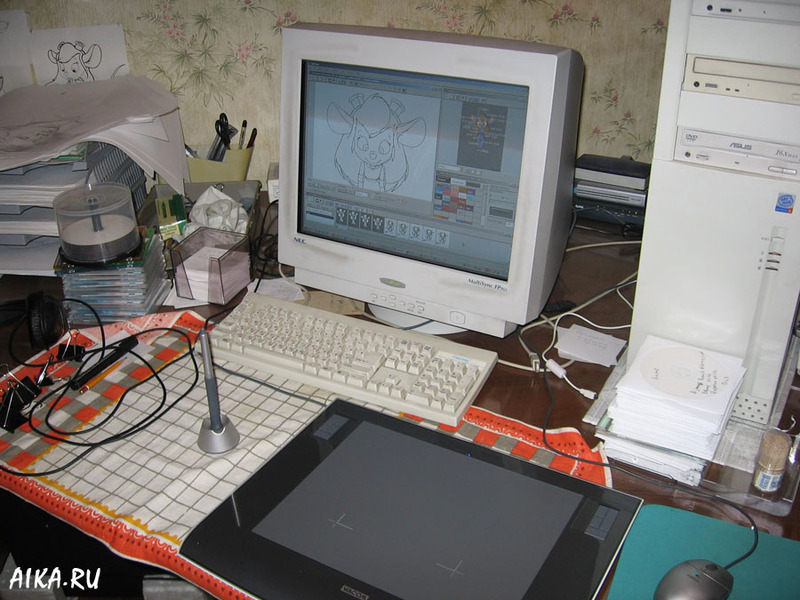 More precisely, we had to color every object, because they were drawn on separate sheets. For example, this frame contains 5 objects. 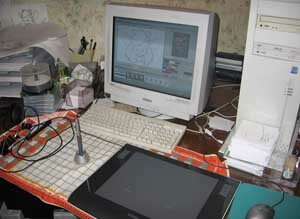 Every object was drawn separately, and combined with the computer. Looks kinda like flowchart, doesn't it? Squares indicates actions: frame shift, scale change, depth (like the order of layers in Photoshop). 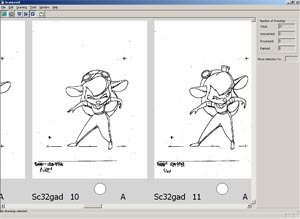 Multiplane camera is used when you need several layers (for example a character plus background). You can see a screengrab of the part of Director's window above, where I described the aligment of frames. This aligment was done in "Move" section (at the right, marked with yellow color). Also some other actions are possible. 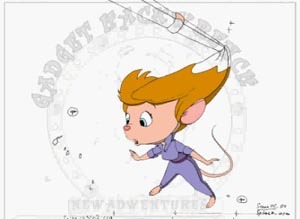 For example, in one scene in our animation we used "Opacity". OK, this scene was finished. 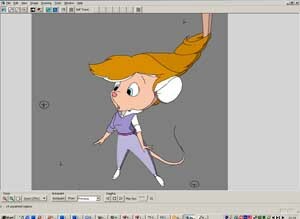 Now we had to draw and color other scenes and render the whole animation. Of course there are many things which are left untold. I didn't mention 3D for example just because I don't have any idea how it was done. All 3D scenes were rendered by Anton. 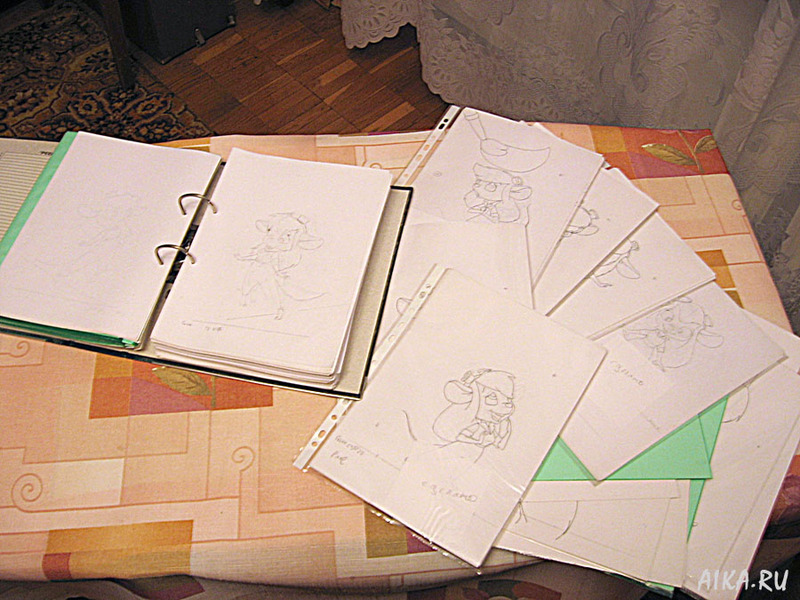 Here are the final drawnigs, drafts, storyboard and rough animation. 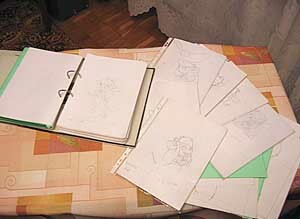 The second half of sheets is in another town, Saint Petersburg, where Artist lives. Despite of discrepancy between the spent time and the result, we are very glad that we did it. As a bonus here are some more pics. 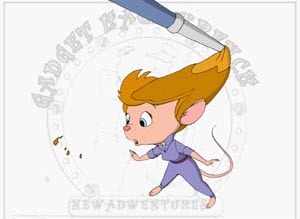 You can find some additional info at http://www.toonster.ru (only in Russian though). I would like to thank everyone who took part in drawing this animation. Antoon for his professional comments and 3D effects. 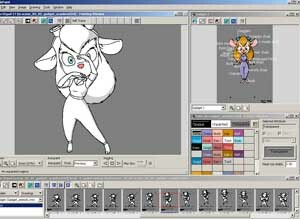 myself ;), for crazy idea to draw this animation.